Sunday, October 12 at 3 p.m. 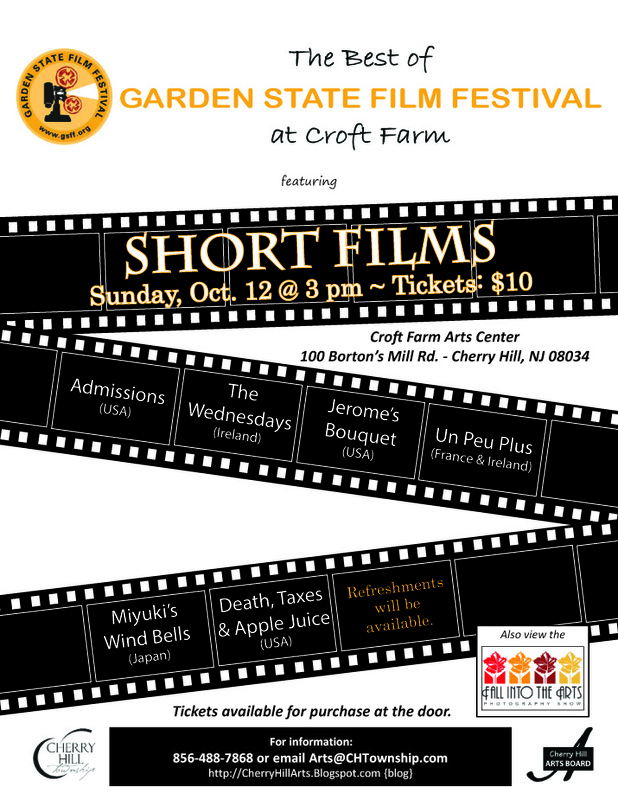 Experience “the Best of the Garden State Film Festival” at Croft Farm. Featuring 6 short films from the USA, France, Ireland and Japan, this afternoon screening provides you an intimate viewing of independent films previously shown at the Garden State Film Festival. *Please note: The exhibit may be seen during already scheduled classes at the Arts Center.